Arlo has a home! 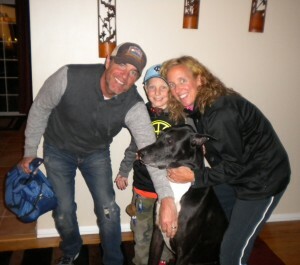 - Rocky Mountain Great Dane Rescue, Inc.
Arlo has a home with Erin & Brian in Golden, CO. Erin and Brian have adopted with RMGDRI before and sadly lost their Dane to Cancer. They are ready to fill the hole in their hearts that their Dane left behind and Arlo was the match! They have one son, and all are thrilled to bring Arlo home. Way to go boy!